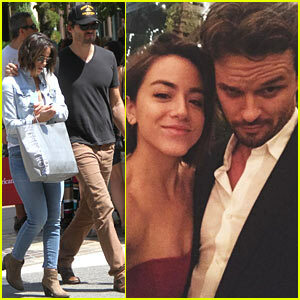 Chloe Bennet’s ‘Agents of S.H.I.E.L.D.’ Gets Season 3 Promo | Agents of SHIELD, Austin Nichols, Chloe Bennet | Just Jared Jr.
Chloe Bennet poses with her boyfriend Austin Nichols while attending a wedding on Sunday (September 6). The cute couple helped their friends, stunt actors Matt Mullins and Alicia Vela-Bailey, celebrate the special occasion. “THEY GOT MARRIED! You guys are gorgeous inside and out and I mean that with my whole heart. Love you guys. Congratulations,” Chloe, 23, captioned a photo of the couple sharing their first kiss as husband and wife. She also shared a photo of herself with Austin, 35, which you can see below. 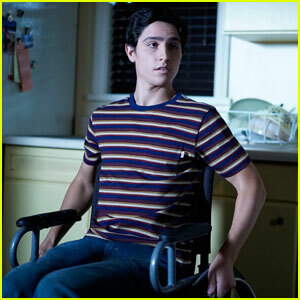 The first look at Chloe‘s show Marvel’s Agents of S.H.I.E.L.D. was released this weekend. Watch it now! Also pictured inside: Chloe and Austin shopping at The Grove in Los Angeles on Saturday (September 5). 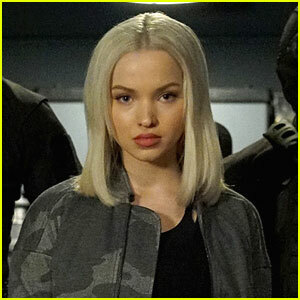 Is Dove Cameron Joining 'Marvel's Agents of S.H.I.E.L.D.'? !